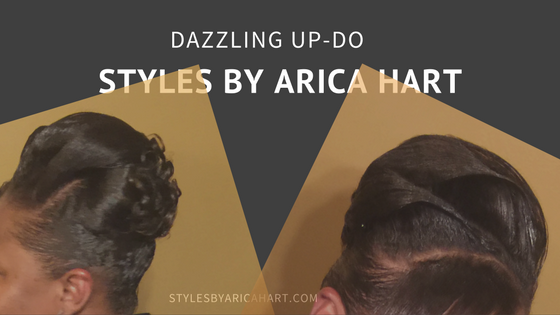 Put a little razzle-dazzle in your hair style. Try an up-do hairstyle for when you don't want to let it fly in the wind, but want to still look stylish. Watch out for those bad hair days by getting a hairstyle you can maintain with class and dignity. 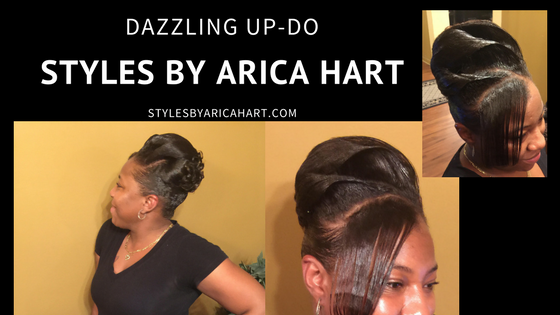 Step out of the box and get your hair Styles by Arica Hart. 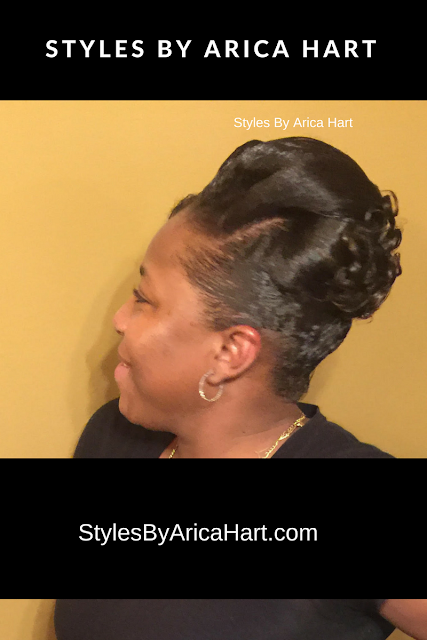 This beautiful young lady is rocking an up-do with fold overs hair style. She is ready for any event with sophistication and style. She is ready to rock her style! Have a blessed and awesome day, looking and feeling good!